Made in Scotland. 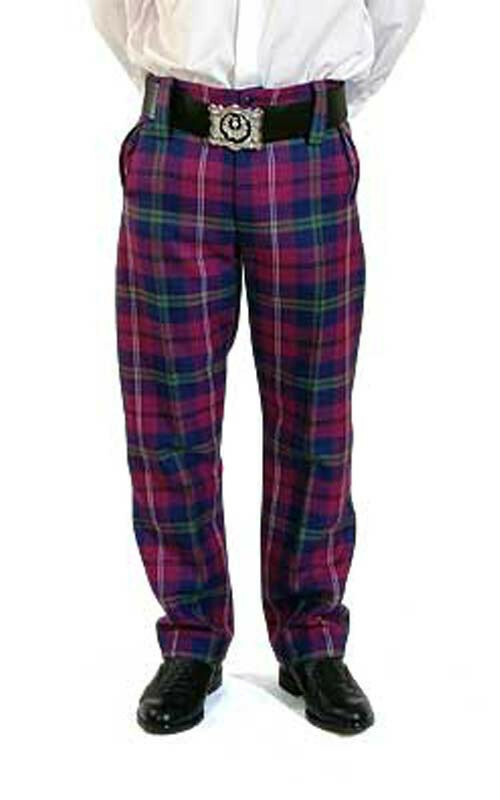 These trews looks superb with a Prince Charlie jacket and vest, made in a tartan of your choice. 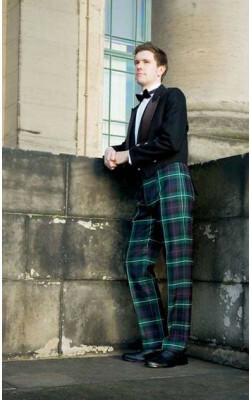 These made-to-measure, military-style trews with fishtail back are a perfect alternative to the kilt. 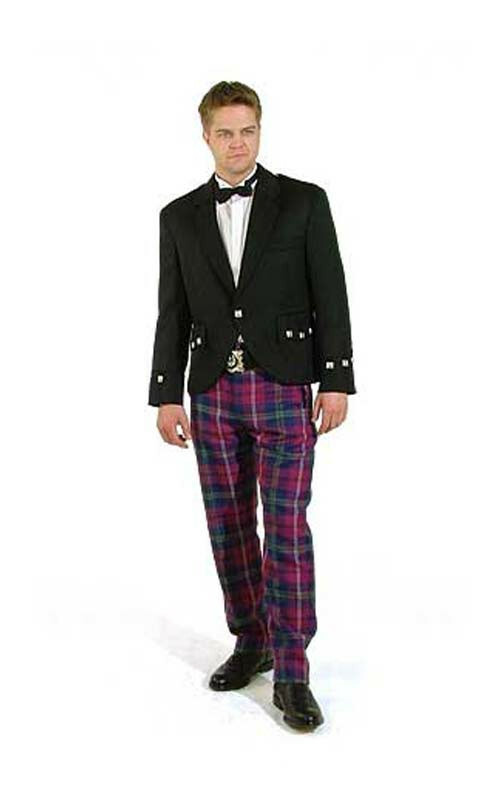 Your trews will be fitted and will have tapered legs, a zippered fly, two straight side pockets and wide belt loops to accommodate for a kilt belt. 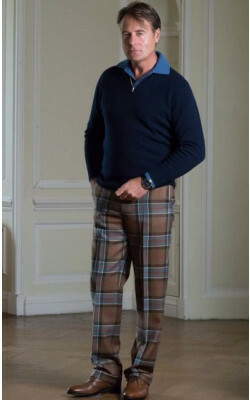 We've selected a range of some of the most popular Scottish tartans to offer you a quality garment at an excellent price. 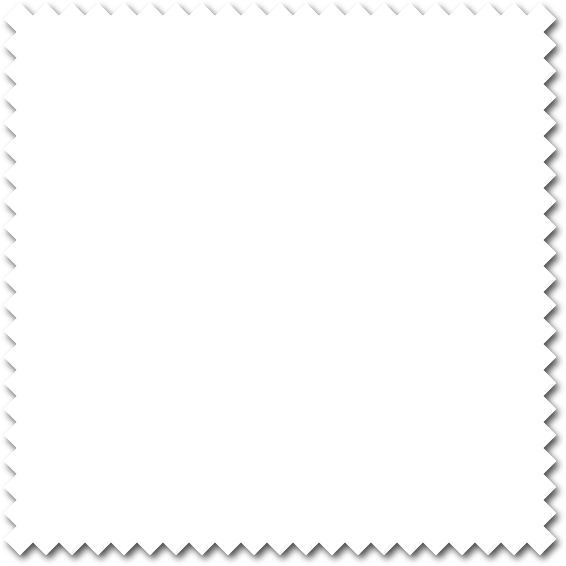 But unlike some of our competitors we offer absolutely no cheap imports that suffer in quality. Instead each pair of trews is made in Scotland to your measurements. 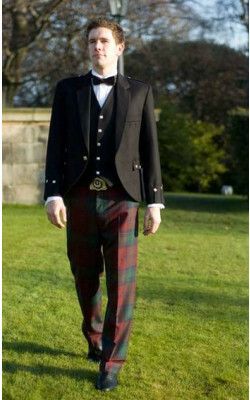 Essential Scotweb is the name for Scottish value, with no compromise in traditional quality. We never import cheap-labour poor copies like our imitators. All Essential Scotweb products are made to the highest specifications by local specialists. No frills - just exceptional prices.The Essential Scotweb range promises authentic products you can trust at prices you won't believe.